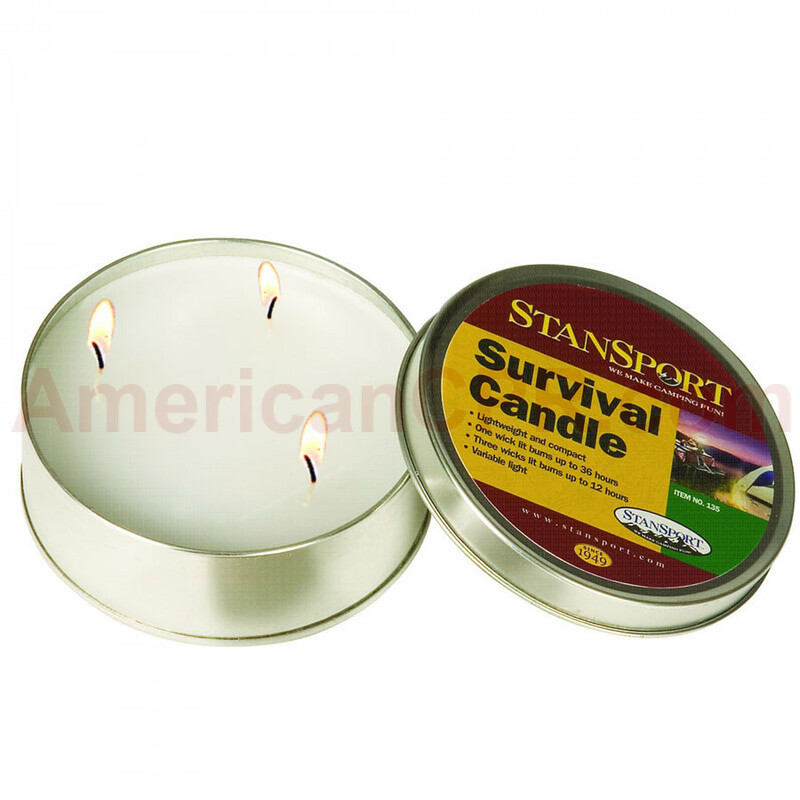 Perfect for emergencies, camping, backpacking, hunting, disaster preparedness, survival uses and more; the 3-Wick 36-Hour Emergency Candle will provide you a light source when you need it the most. Batteries in flashlights and modern lanterns run out of power and can be expensive. This emergency candle is perfect for when the lights go out, even when you are at home in a power outage that comes out of the blue. Do not be stuck without a light source when you need it. Lightweight and compact. Variable light. One wick lit burns up to 36 hours. Three wicks lit burns up to 12 hours. 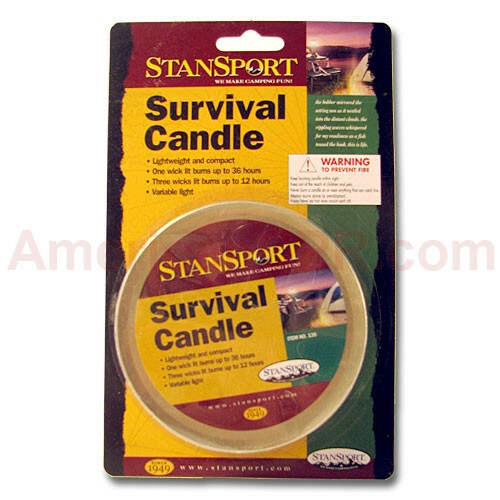 The Survival Candle Burns ~ 36 Hours.